Mountain biking is muddy, graze inducing and fun but it doesn’t have to be basic. We felt it was important to offer a choice of hotels in Livigno to satisfy varying level of needs and all budgets. There are two options which we feel cater for those wishing to take a luxury biking holiday to those more concerned with a comfortable place to stay after a day in the mountains. All offer top quality food, hospitality and comfort as standard. The Lac Salin Spa & Mountain Resort is not only our top hotel in Livigno in terms of comfort but offers much more! 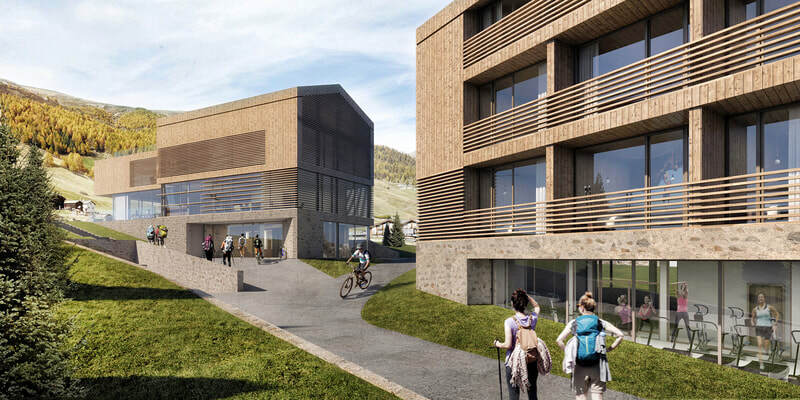 With 65 very comfortable rooms all designed with warmth, light and space in mind, furnished in typical alpine style together with a fantastic spa and quality food all as part of your package you'll be sure to feel spoilt both on and off the mountain! All rooms have either a balcony or terrace with fantastic views, Telephone, LCD 21" TV, WIFI, independent heating controls to regulate the temperature of the room, mini-bar and electronic safe. 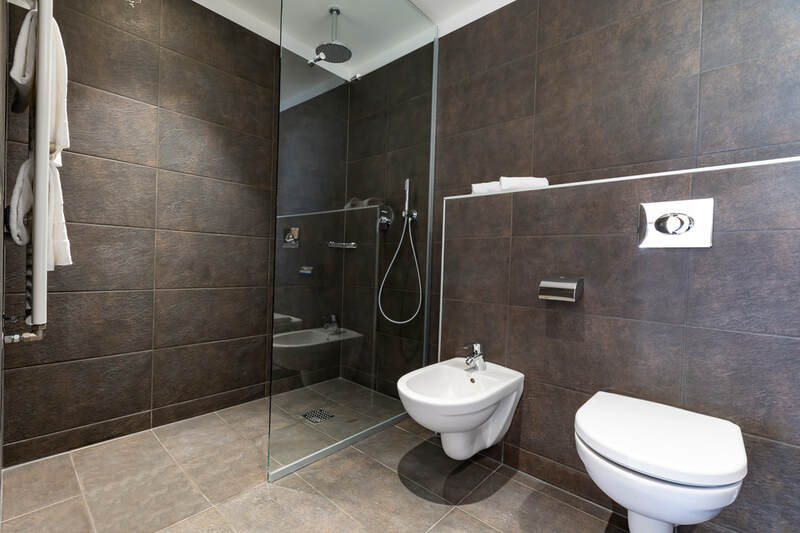 The bathrooms are all furnished to a high standard, light and spacious, consisting of bathtub or shower, single or double washbasins, WC, heated tiles, hair dryer and high quality bathrobes. The atmosphere of the hotel has been created with a lot of care in order to try and satisfy all the needs of our guests at any time of the day, with particular attention spent on the spectacular spa. The Lac Salin offers a fabulous spa to help unwind those legs after a hard day on the mountain. Four fantastic ambient areas have been created focusing on an oasis for the well-being of the body, the spirit and the mind. A large swimming pool and jacuzzi, the sauna with its natural aromas, vapor bath and relax zones, all working in perfect harmony with the external atmosphere of the hotel. A sustainable holiday which is brand new for 2019! Each room is 21 m² with a large balcony overlooking the mountains. The rooms are equipped with a comfortable bathroom, a telephone, Wi-Fi, a minibar, and an LCD TV. We will serve you only seasonal and regional organic products for breakfast and focus on Fairtrade food instead of mass-produced goods. Be a part of it and support our green vision!